Over the last few years we have been fundraising to further improve our facilities by building our own food technology room at the school, so that all the children are able to access food and nutrition lessons. For the past two years we have been running the BTEC Level 1 and 2 Home Cooking Skills Courses from the local village hall kitchen, with the obvious logistical problems attached to teaching offsite and sharing the building with other users. 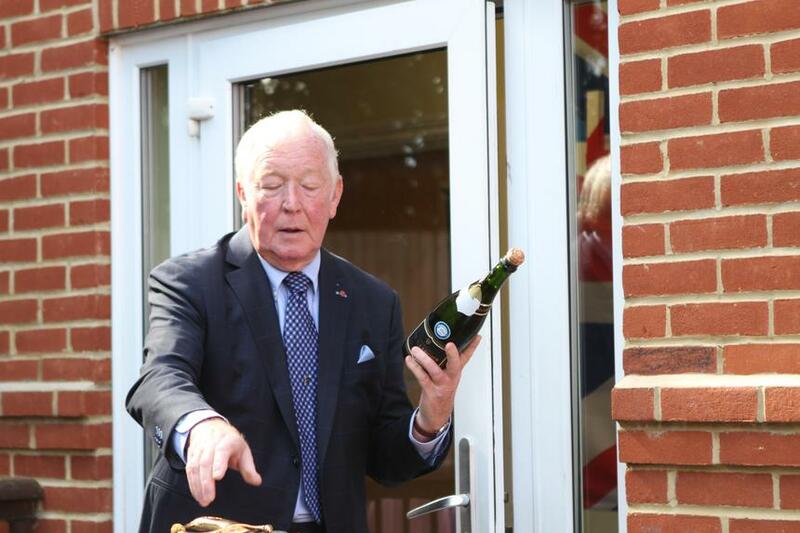 We have finally reached our target and a Grand Opening of the Kitchen was held on Wednesday 7 September 2016. 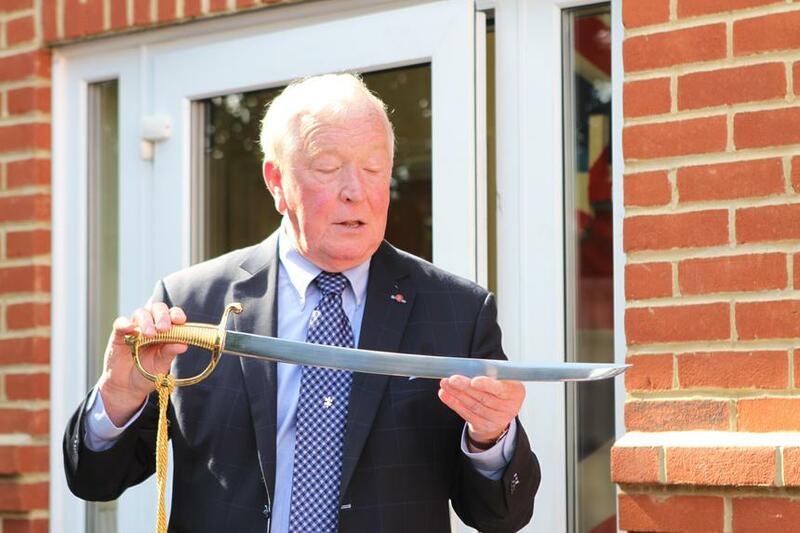 All the pupils, staff, governors and friends of Knowl Hill were there, as well as Vic Laws MBE, who opened the event by sabraging a bottle of champagne (popping the cork off dramatically), as well as speaking to the children and guests about working in the hospitality industry and a few tips for cooking. 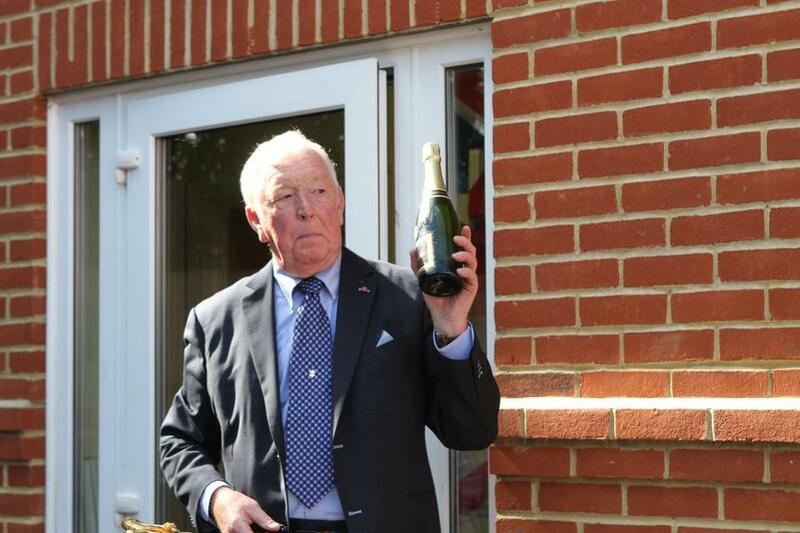 This was a very big event for us, as well as the Pirbright Community, who have helped with our fundraising. 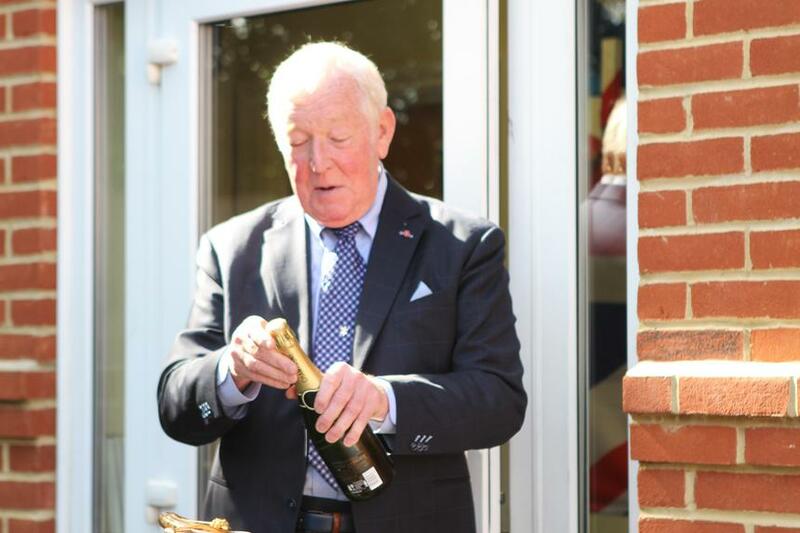 Howdens donated all the kitchen units; the Lempriere Trust, the Millenium Oak Trust and Seymours Estate Agents are among our other very generous benefactors. 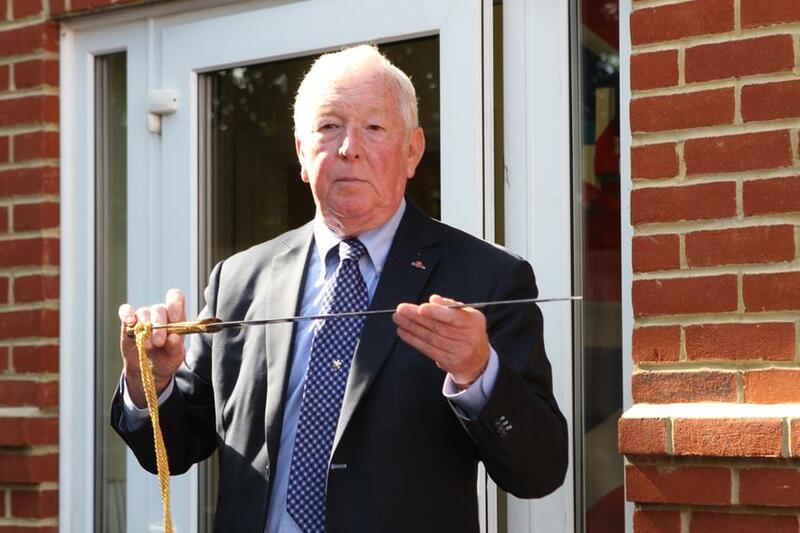 See here for the Woking News and Mail report. 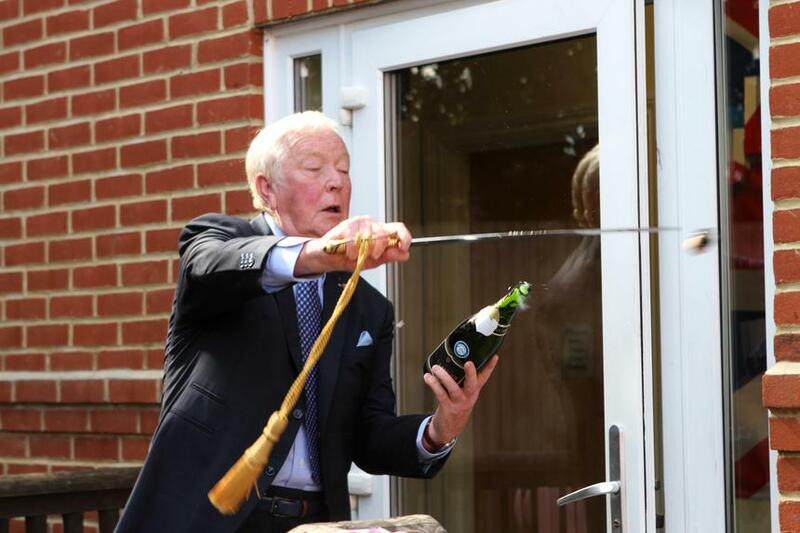 The following photos show Vic Laws MBE sabraging a bottle of champagne to open the Kitchen and Life Skills classroom. 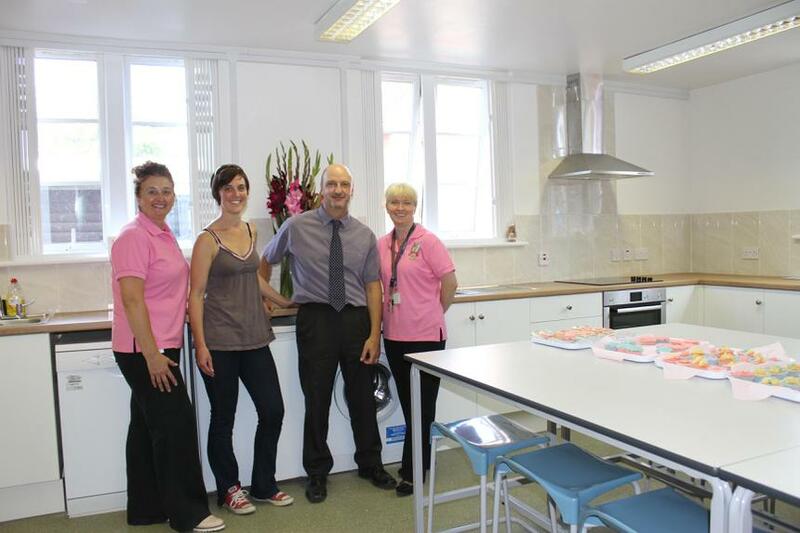 Also, representing Howdens of Weybridge, who donated the kitchen units, sinks and surfaces, Barry Horne and his wife, Kathy, in our new classroom with Mrs Giles and Mrs Medley.